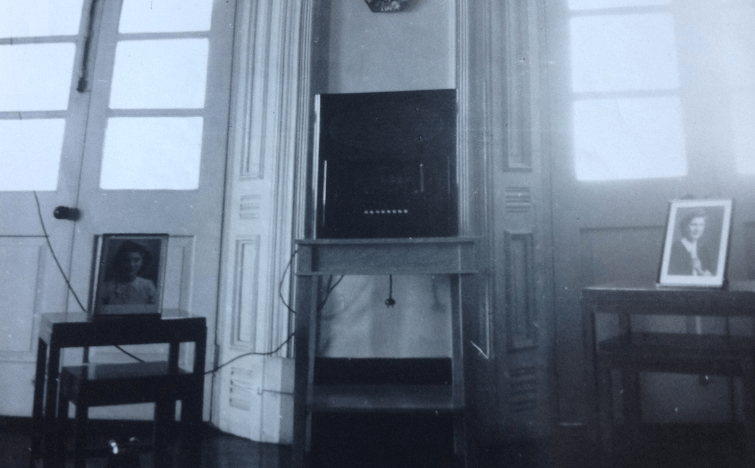 Jane Taylor: My grandfather, Robert Taylor, appears to have started out in Macau in 1912 and moved to Hong Kong around 18 months later. He served as manager of the Green Island Cement Company, I think from the late 1920s, until his retirement in 1949. 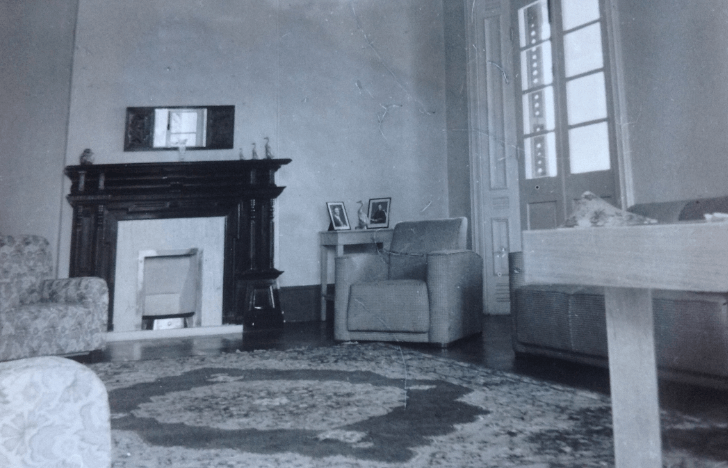 Recently discovered family photographs show the manager’s house clearly, and also its pre- and post-war interiors. Much work had to be done after the war to make it habitable again. 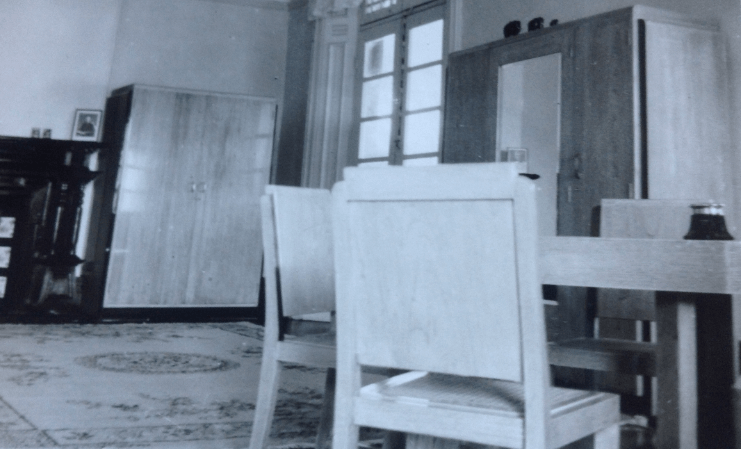 HF: I think it best to post the photos by the group and thought we would continue with the interior post-WW2 photographs. 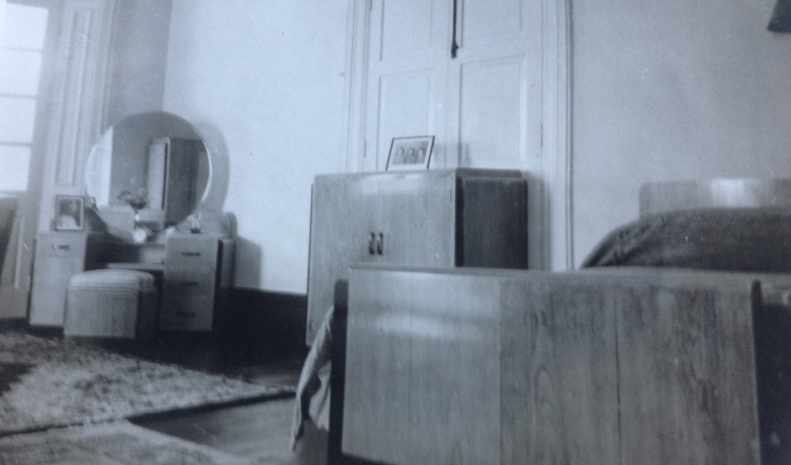 Jane tells us the second set of photos shows rooms furnished with contemporary Western furniture. 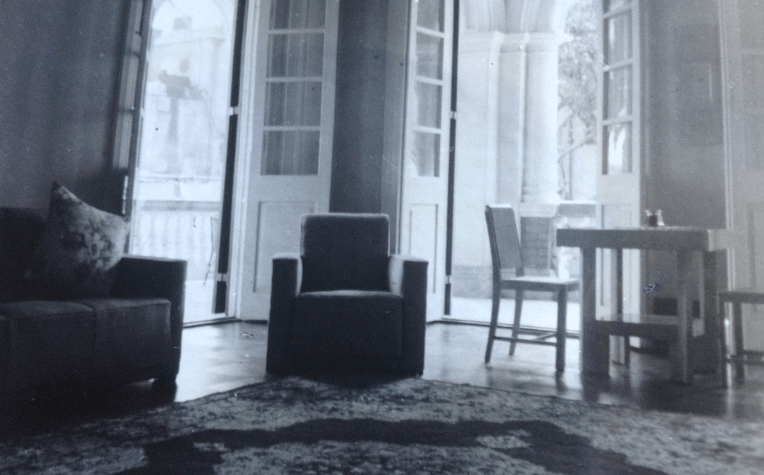 These are post-War, and will have been taken either in 1947 or ’48. I know this because a couple of them show my Dad’s graduation photograph from October 1946; and my grandfather retired in March 1949. 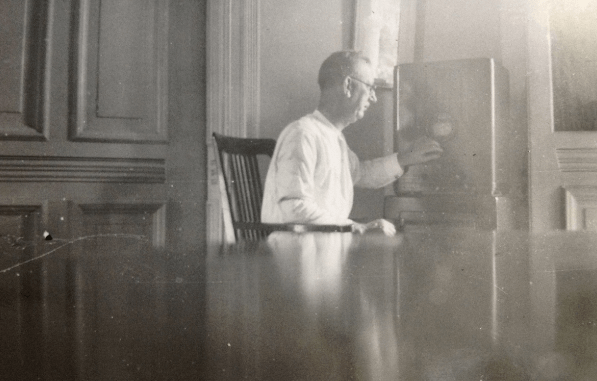 But first here are two more pictures which show people as well as surroundings: the first is Grandpa, tuning in to his wireless (pre-war) presumably in the dining room. 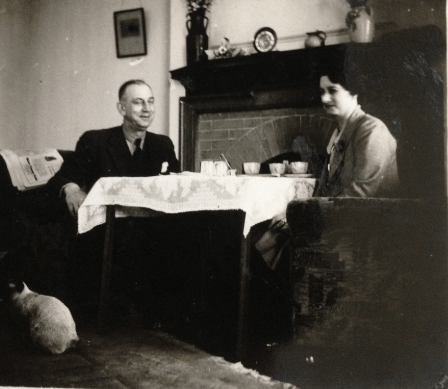 The second is Grandpa at a tea table with unknown lady and siamese cat – evidently taken by my grandmother. 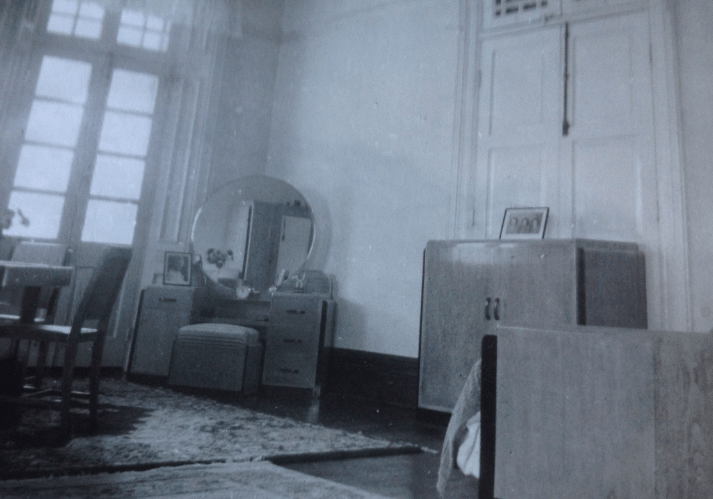 I haven’t a clue where it was taken as the room has a different ‘feel’ from the others in the house but don’t know where else it might be… definitely Hong Kong, though. 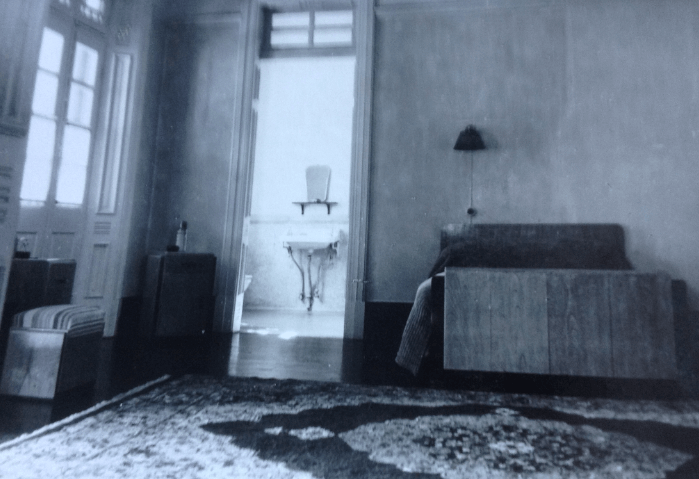 And now the post war interior shots.